During high temperature combustion, oxygen (O2) and nitrogen (N2) present in the air can combine with each other in a number of ways, generating nitrogen oxides NOx, responsible for many pollution phenomena, such as acid rain and ozone formation in the lower atmosphere, with known consequences on health. 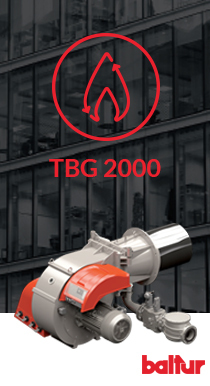 To reduce NOx emissions, Baltur ha perfected the external recirculation of combustion products technique, consisting in withdrawing a part of combustion fumes from the chimney and dilute them with combustion air. This technique allows to reduce the flame temperature, reduce the concentration of oxygen and increase the concentration of inerts (N2 and CO2), which in turn will absorb a part of the energy developed during combustion. Baltur has felt the need to further investigate this type of application, with the aim to overcome the technical limitations of some applications for industrial and civil use - also with respect to Low-NOx emission burners - to provide a concrete response to the increasingly stringent request to limit NOx nitrogen oxides emissions. Today the system designed by Baltur - Flue Gas Recirculation FGR - represents the best compromise between costs and benefits. 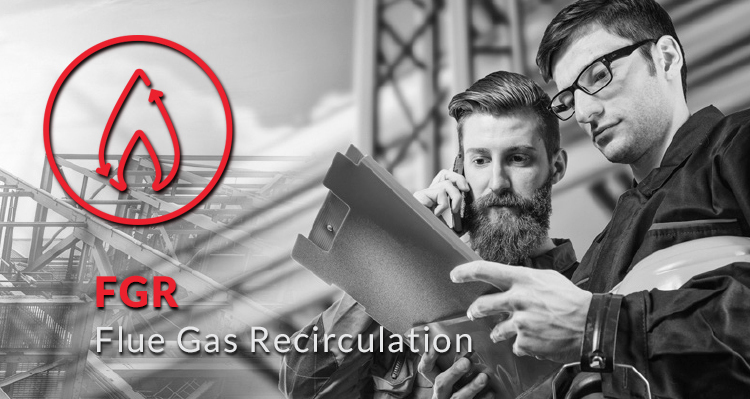 In fact, it allows to obtain a significant NOx reduction, reaching very low values with respect to the traditional reduction methods and with an implementation cost relatively low if compared with the other methods for NOx reduction. The FGR system can also be appliedto existing systems, both monobloc and dual-block burners. In the first case, the burner fan takes care of the additional flow rate due to the recirculation, with subsequent reduction of the operating range. In the second case, several plant solutions can be used, since the fan is not integrated in the burner. It is always recommended to contact the burner manufacturer for sizing and for the choice of fume recirculation system components. While ensuring engineering solutions for both burner types, Baltur provides a test laboratory to simulate and test many applications of this technology, thus ensuring reliable solutions and effective results. Baltur is available for inspections on site to see the system layout and define the best technical solutions.